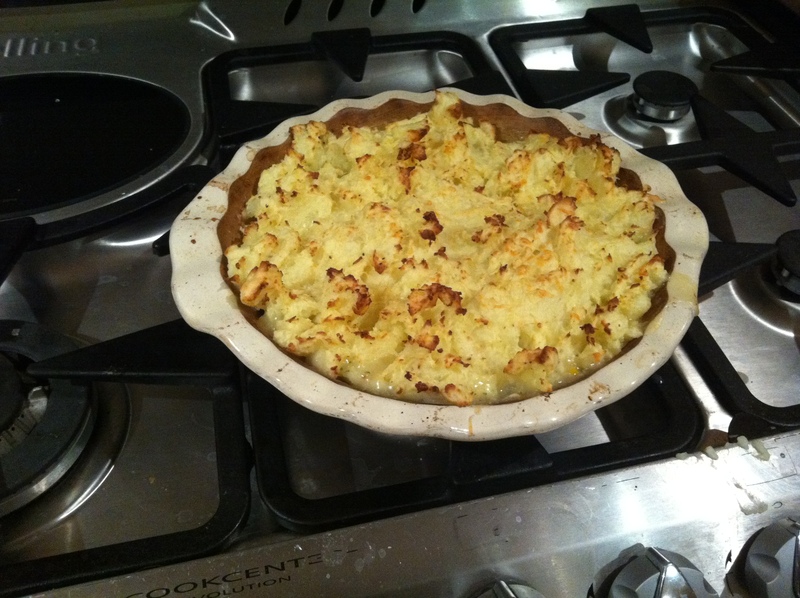 This is a recipe that I have adapted from the BBC Good Food website. I had managed to buy too many eggs and needed something to use them up. I served this up to 2 big “meat-eaters” but neither noticed as it is so hearty and tasty. The original recipe had 1 tbsp of oil but I reduced that to 1tsp. With a Pampered Chef Skillet I would suggest you could probably manage without any oil if you wanted to. Boil the potatoes in salted water for 5 mins until just tender. Meanwhile, heat oven to 220C/200C fan/gas 7. Mix the garlic and eggs together in Classic Batter Bowl with some seasoning, then drain the potatoes and stir into the egg. Heat the oil in 30cm Skillet, then tip in the egg and potato mixture. Cook over a low heat for 5 mins or until two-thirds of the frittata is set, then cook in the oven for 10-15 mins until cooked through. Remove from the Skillet. 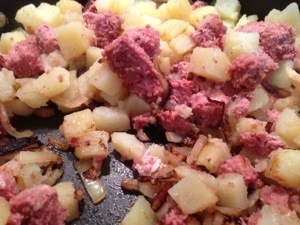 As you can see from the photo this is such an easy job with a Pampered Chef Skillet, nothing stuck at all!! 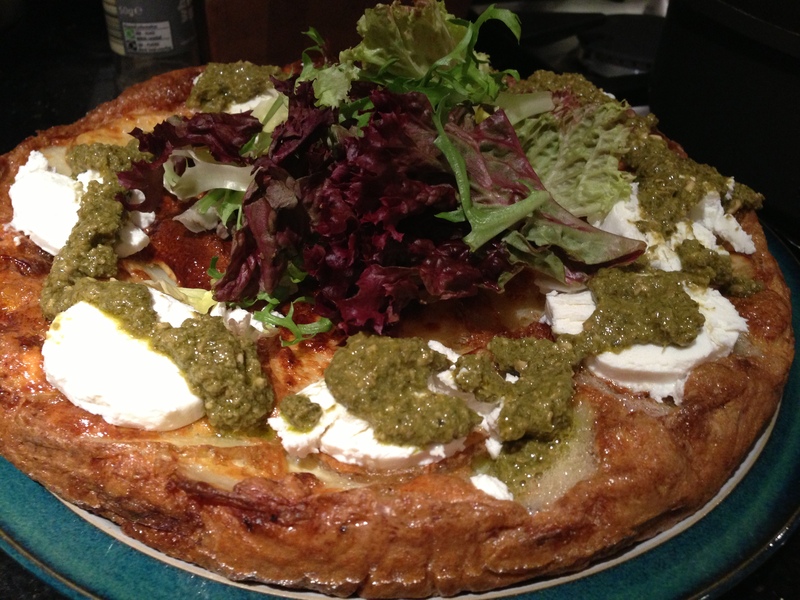 Arrange the goat’s cheese round the edge of the frittata and drizzle with the pesto. Top with rocket and serve with a tomato & basil salad, if you like. 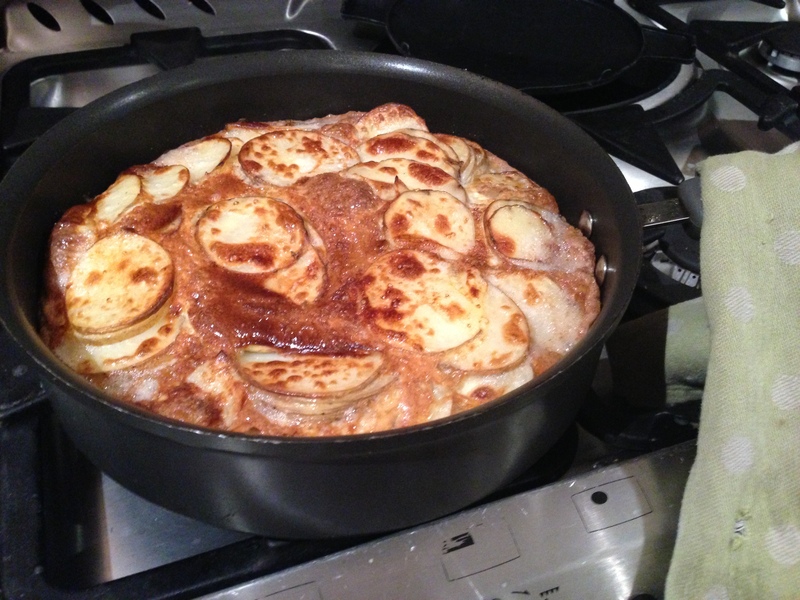 Filed under Batter Bowl, Cheese, Eggs, Garlic, Pans, Potatoes, Super Quick cooking! 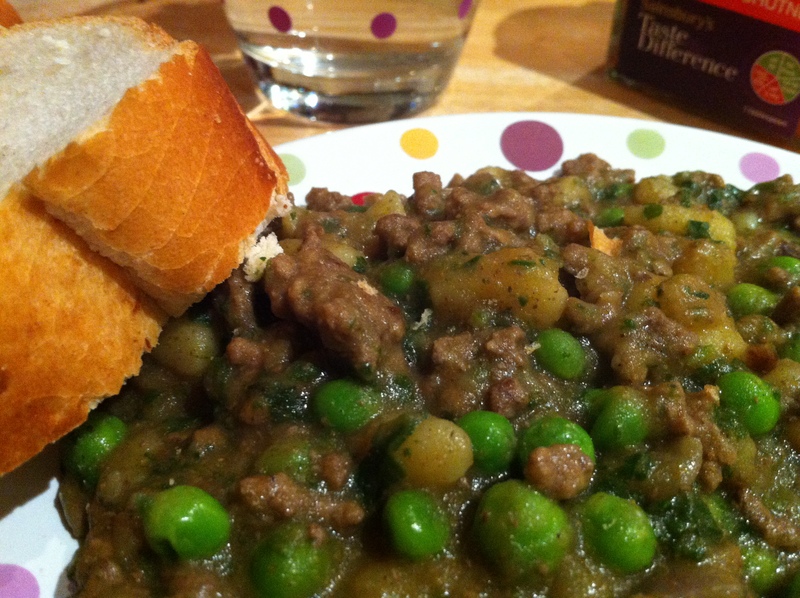 This is a fabulous one-pot recipe that I got from the Sainsbury’s Magazine a few years ago. It is very tasty and economical too. Stir-fry the mince in Skillet for 3-4 minutes until changing colour. Add onion and cook for a further 4-5 minutes, stirring occasionally, until the mince has browned. Stir in the curry powder and potatoes and cook for 1 minute. Pour in the stock. 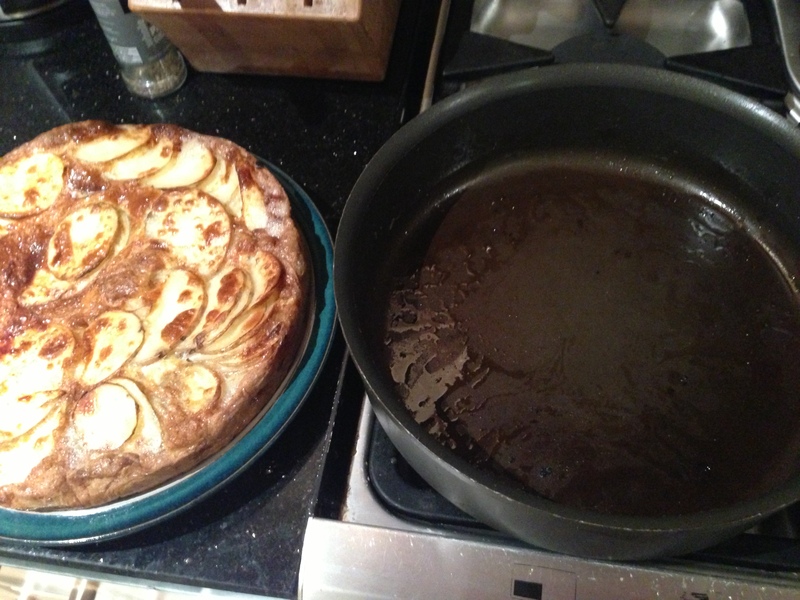 Bring to a simmer, cover and cook for 20-25 minutes at a brisk simmer until the potatoes are tender. Serve with naan bread, mango chutney and natural yoghurt. YUM!! 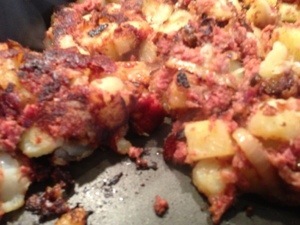 Filed under Food Chopper, Pans, Potatoes, Super Quick cooking! This recipe is one I have adapted from a Sainsbury’s to use stoneware. Its so easy and pretty cheap too as an extra bonus! Defrost 1/2 the bag of mixed veg and (separately) the frozen fish for 20 – 30 mins. Drain. Preheat oven to 200C/ 180C fan/ Gas mark 6. Peel & wedge the potatoes using Veggie Wedger and boil for 20 minutes until soft. Meanwhile, place all the fish in a pan and cover with milk and simmer for 15 mins. Make up the packet of parsley according to the pack instructions. Drain the fish using Stainless Colanders, reserving some of the milk , place into Stoneware Baker and flake into pieces. Add the defrosted veg and parsley sauce and stir well. Drain and mash the potatoes using some of the reserved milk. Season. Spread over fish and bake in the oven for approx 10-15 mins until the top begins to crisp. 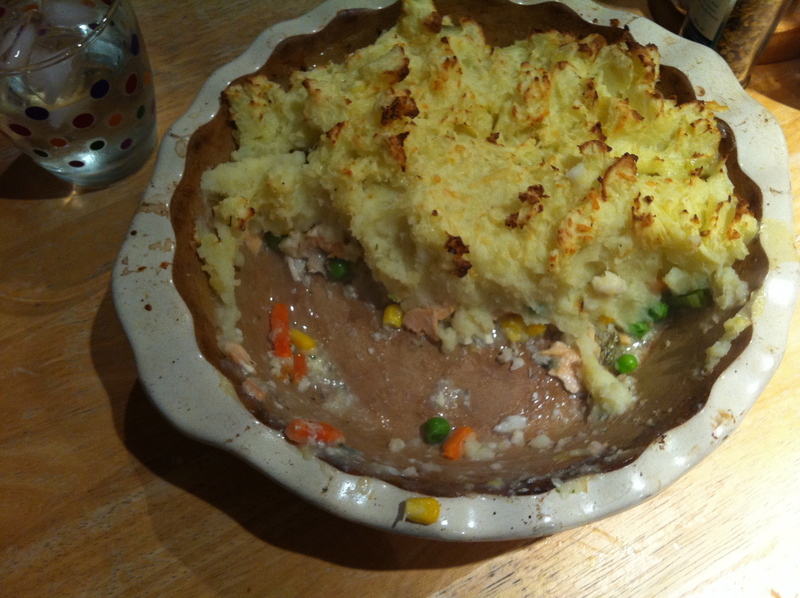 Cook the rest of the frozen veg to serve alongside the pie. This is a fantastic “chuck and bung” recipe. Literally chuck all the ingredients in the stone and bung in the oven! It is YUMMY!!! Wedge potatoes, place in Large Micro Cooker with a tablespoon water and microwave on high 10 mins. Drain and shake gently. Add spices and oil and mix to coat. Put on Medium Round Stone. For the Mexican Chicken, slice the chicken and peppers into thin slices with Forged Knife on Flexible Cutting Mat. Chop onion and chilli with Food Chopper, crush garlic with Garlic Crusher, zest lime with Microplane and juice with Citrus Press. Open Tomato Puree with Smooth Edge Can Opener. Place all the Mexican Chicken ingredients into a rectangular baker and cook for 15 mins. Take out and stir and then put wedges in the oven. 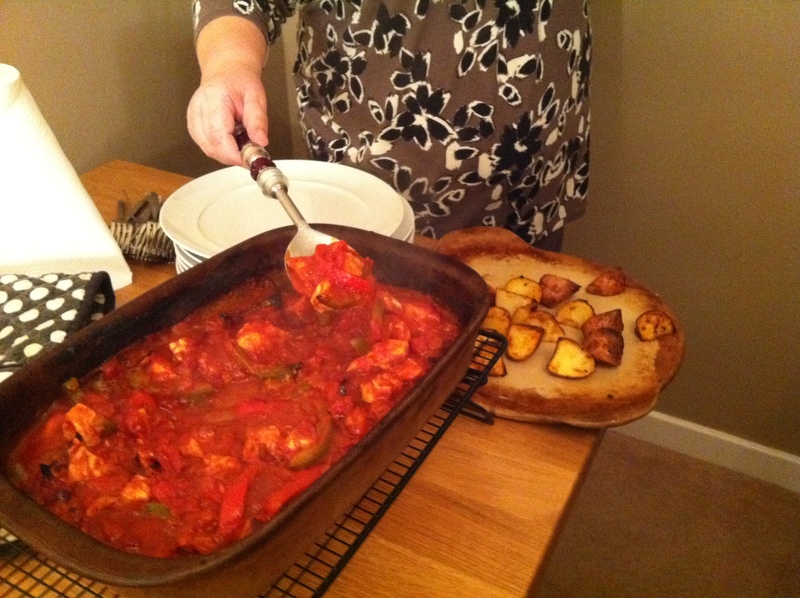 Cook wedges and Mexican chicken for 20 mins until chicken is cooked through and wedges golden and crisp. Put cheese and sour cream in bamboo bowls to serve.